Each in the two separate bays of a single spaceship. They have six minutes each week to seduce and to make their choices, under the unblinking eye of the on-board cameras. They are the contenders in the Genesis programme, the world's craziest speed-dating show ever, aimed at creating the first human colony on Mars. "This thrilling space odyssey will keep you turning pages late into the night." "Phobos gave me the perfect escape I've been ravenous for. Each page took me further into the stars on a daring and romantic journey to Mars. This book is my new obsession!" "Explosive and cinematic, this book has it all â€” high-stakes secrets, slippery lies, and budding romance, all set against the most gorgeous backdrop of stars. It's a dating game reality show like none other in the galaxy!" It reads like a brilliant Sci-fi blockbuster. There are many threads in play and they change your perspective like a rubrics cube, waiting to be solved. It makes for such a consumable, compulsive read. I just wish I knew enough French to read the other books in the series. Kudos to Dixen, he has definitely tried to make his world as believable and realistic as possible. The book is a compelling tale of love, lies, friendship and secrecy set against a well-researched and believable near-future setting. I was intrigued by the idea of this book, but nothing prepared me for how good it really was. Whatever you expect from this book, I can guarantee it will surprise you in some way. It's so compelling with so many secrets that it's just impossible to put down. This is definitely going to book I'll remember for a long time. I honestly loved this book and I think it is worth a read for anyone who enjoys science fiction books or anyone looking for a light-hearted read. I absolutely loved the idea for this; speed-dating in space on a one-way ride to Mars, fighting for each other's affections over the other girls/guys - all whilst the whole world watches. I highly recommend this. The format was really effective at keeping me hooked! I liked how pieces of the puzzle were revealed a little at a time and how the pervasive sense of doom became harder and harder to ignoreâ€¦ I inhaled this practically in one sitting â€“ it definitely keeps you reading to find out what happens! It deals with issues of self-worth, self-image and mental health, as well as the importance of forming your own opinion rather than following the crowd. The scientific descriptions sound suitably baffling yet authentic and the narrative flows along pulling its reader through its universe desperate to see what happens. Itâ€™s an easy, entertaining read that certainly made me wish I had the next volume ready and waiting! A bomb of a novel, a trip to the stars, and a mega favorite. Each time I had to put it down to take care of my daughter, I only wanted to open it again â€“ even if it meant giving the bottle to my baby while reading! PHOBOS is a seriously thrilling narrative, that totally engulfed me. I warmly recommend it to all science-fiction and YA readers. PHOBOS: six million readers, six seconds to fall in love with it, an eternity for remembering it. A must-read! It is quite simple : you HAVE TO read it! Donâ€™t do the mistake to overlook this extraordinary, fascinating book. This novel is as clever as it is fascinating. I fell in love with this book. Victor Dixen manages to turn up the heat from the very first pages. I can't wait for book 2! You really live with the characters, and feel their crushes, their fears, their anxietiesâ€¦ Once you open the book, you canâ€™t close it. This book is an atomic bomb. I enjoyed it from the very first line to the very last. I canâ€™t find the words to tell you how difficult it was for me to put the book down and try to sleep. A big favorite! This spatial thriller won me over. Come onboard the spaceship to Mars! This is a total success, a real crush, and I really hope it will be adapted into a movie. A thrilling science-fiction novel, a very original plot, strong-willed characters. I just loved it! This book will keep you breathless. A game of make-believe, doubt and fear, masterfully orchestrated by Victor Dixen. To read in priority! Through this book, I discovered an author that combines a thorough knowledge of his subject, a magnificent style, and the ability to create larger-than-life characters. Ever since Neil Armstrong first made his giant leap for mankind in 1969, the space race has been played out on television. 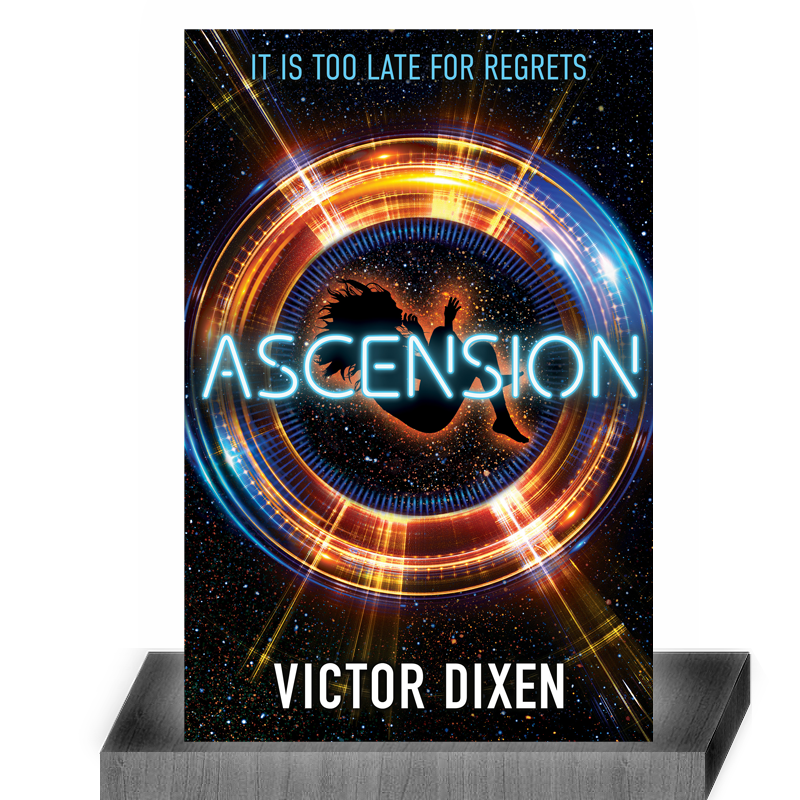 Now in Ascension â€“ the first volume in the Phobos series â€“ Victor Dixen is taking it to the next, logical level, pairing up the 12 astronauts for a mission to Mars through a reality TV programme. Love Island is a phenomenon which has taken over this country's pop culture. Now imagine if it was set in space! It is a captivating and sinister tale that contains a great story concept and a range of characters that the reader comes to care for. Fantastic and addictive reading. Victor Dixen creates a literary event with the first instalment in his new series: Phobos, meaning "fear" in Greek. This novel keeps the reader spellbound till the very last sentence. Phobos is a striking novel that masterfully mixes science-fiction, thriller and romance. Victor Dixen delivers a truly immersive reading experience, and a highly addictive book. In his sixth novel, this young author invite the readers to take part in a breathtaking space odyssey. Inside the pages of Phobos there are many dreamsâ€¦ and many nightmares. Letâ€™s go to Mars! Both a space epic and a romantic comedy, Phobos is a thrilling book. We bet readers wonâ€™t be able to put it down until the very last page. A zero-gravity story, exploring the destiny of mankind and the conquest of other worlds. This book will take you to the stars! This high-flying spatial thriller mixes sci-fi codes with an amazing talent, to create a never-told-before story that manages to surprise the reader page after page. A definite favorite, and a must-read. The return of a unique writer, whose novels always convince us! Come onboard the Phobos spaceship, and you will live an out-of-this-world experience. Victor Dixen offers us an innovative and addictive story! This new science-fiction novel is bound to take the bookstores by storm. Speed-dating frenzy, mysterious murders, riveting space conquest: get prepared, for this book is a real firework!!! A breathtaking race against time. And when you think you finally get it, the author manages to surprise you again! Oh yes!!! Money, manipulation, love, trust: this novel will bring you very far, very fast!